NO MORE SHOWINGS. Rare find in this vinyl sided newer roof located on predominant small single family street! 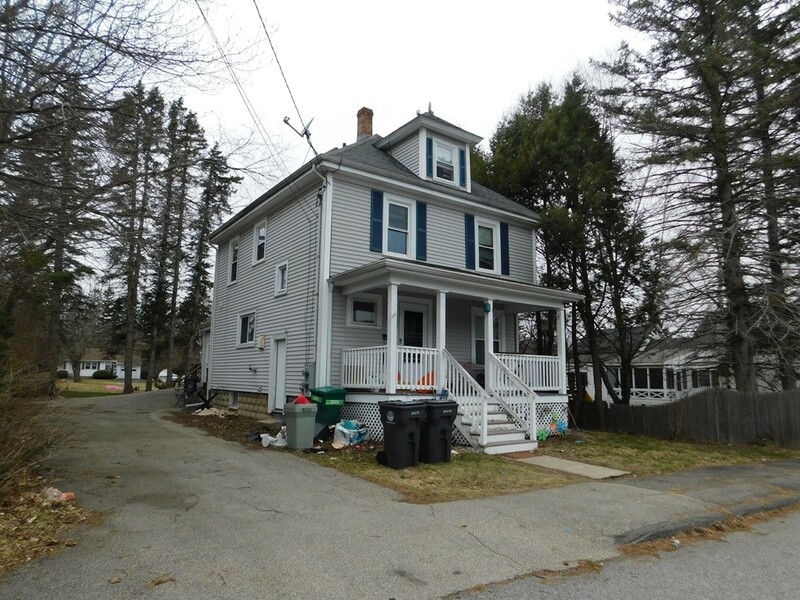 Sit on the farm porch and surround yourself with birds chirping while the kids play in your double lot that goes straight out to abutting Rockland Street! This 2nd lot has 9, 000 sf just waiting for another garage or perhaps even a Tiny House! First floor unit has kitchen with newer counter-tops and full bath with new tub and shower enclosure, living room and two bedrooms. Owner's 2nd floor unit offers living room, kitchen that leads down to attached garage, full bathroom, two bedrooms and third floor finished walk up that can be used as either large family room or master bedroom! Farm porch, attached garage & large level double lot surrounded by single family homes. Bring your ideas and make this your home and bring the whole family!! Or let the tenants pay your mortgage! Great investment!! !